The university represents the formative years in the lives of many – and that can go doubly so for mages! 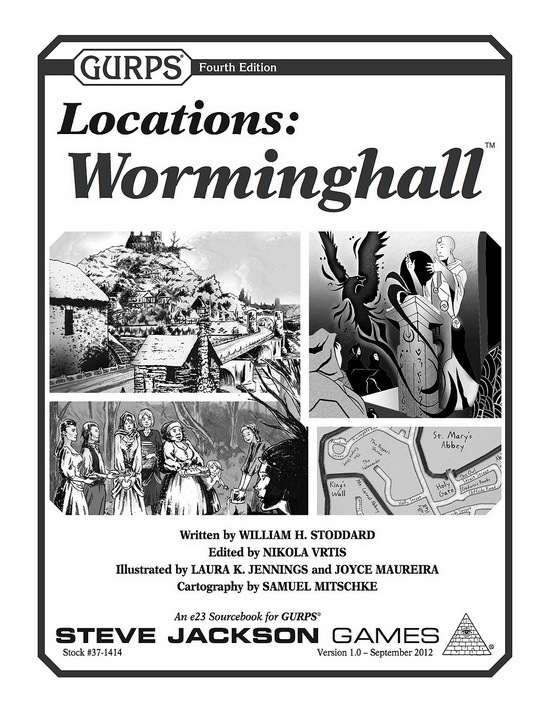 GURPS Locations: Worminghall describes one such institution, ready to serve as the focus for adventure and excitement in any fantasy world. Learn about the real-world historical workings of a medieval university – where classes were held, who taught them and how, and who took them. Understand the curriculum and the specific steps in mastering lessons. Explore the town and its suburb through descriptions of key locations and their more noteworthy personalities, including GURPS modifiers for finding each place. In addition to obvious establishments – such as taverns and shops – the supplement reveals several secret spots and notes about a mystery beneath the campus itself! It provides two maps of the town and its environs: one marked for the GM's reference and one unlabeled for maximum freshman frustration. 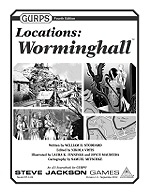 Find tips for adding Worminghall to your favorite medieval campaign – including GURPS Banestorm – plus several sample encounters that the GM can use once the locale is in place. Check out the rest of the GURPS Locations series for more ready-to-use locales! If you're looking for expanded rules on learning and teaching, sign up for classes with GURPS Social Engineering: Back to School. For a ready-made fantasy world well-suited for the Worminghall academy, visit GURPS Banestorm. See GURPS Thaumatology and GURPS Magic for rules and insight helpful in running magic-based campaigns. Discover how the men-at-arms of Worminghall defend their holdings, with GURPS Mass Combat and GURPS Martial Arts. William H. Stoddard reveals another possible secret of Worminghall in "Anything for Power" – available as part of the free preview of Pyramid #3/48: Secret Magic!